The project 'The Roots of Ethnolects' was founded in 2005 by Pieter Muysken from the Radboud University Nijmegen and Frans Hinskens from the Meertens Institute & the VU University Amsterdam. It is mainly funded by the Netherlands Organisation for Scientific Research (NWO). This study aims to explore the roots of ethnolects, which result from the interaction between second language acquisition, multilingual language use, and ingroup/outgroup dynamics in urban settings. For this purpose, the interactions of members of three ethnic groups will be studied in two cities. Ethnolects can be defined as more or less crystallised, highly variable language varieties specific to an ethnic group. While 'youth language' is mainly or merely characterized by lexical peculiarities (cf. Auer 2003), ethnolect also involve components of the grammar. There is some discussion whether the notion of ethnolect should be restricted to immigrant groups. In Danesi's (1985: 118) conception, an ethnolect is a "variety of a language that results when speakers of different ethnolinguistic backgrounds attempt to speak the dominant language (e.g. 'Chicano English')", and Ponelis (1997:604) distinguishes between 'interlectal or allochthonous varieties', and 'matrilectal varieties'. Others do not take migration as a central basis for ethnolect formation. Thus McCafferty (2001) treats religious denomination (viz. Protestant versus Catholic) as ethnic identity in Northern Ireland. In a multi-ethnic society such as the present day Netherlands ethnolects, as products of language shift (Thomason & Kaufmann 1988), will doubtlessly gain a considerable role in verbal repertoires - not only of the speakers for whom Dutch is a second language. Ethnolectal influences have even been observed among non-immigrants (Kotsinas 1988 for Stockholm, Auer 1999 for Hamburg, Nortier 2001 for Utrecht). The question is through which mechanisms ethnolects emerge, stabilize and spread. The present project will concentrate on the emergence of two young ethnolects of Dutch, focusing on phonological and morpho-syntactic variables. (a) Which aspects of language use (components of the grammar) characterise ethnolects as distinct varieties? (b) To what extent are ethnolects based on local non-standard-varieties? (c) To what extent are ethnolects based on interference from the original language of the ethnic group in question? (d) To what extent can we reduce features of ethnolects to properties resulting from processes of language acquisition? (e) Are ethnolects specific for an individual ethnic group, or do they reflect a more global non-native identity? Are 'uniquely' ethnolectal traits which reflect a more global non-native identity acquisition-driven? (f) To what extent can speakers of an ethnolect shift to more standard varieties and to non-ethnic non-standard varieties? (g) Is there any evidence of spread of ethnic varieties to peers outside of the ethnic group? If so, do 'uniquely' ethnolectal traits spread to peers outside the ethnic networks merely because of their 'covert prestige' or also / rather because they represent less marked options? (h) How widely are ethnolects distributed in the country? (i) To what extent do ethnolects resemble code-switched varieties and contain overt lexical and grammatical material from several languages? To answer these questions, We use a structured semi-experimental factorial design. 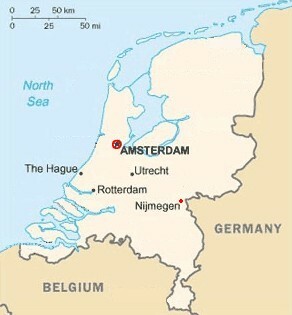 We examine both natural speech and more controlled elicitated speech in two cities, Nijmegen and Amsterdam. Our informants are 10-12 and 18-20 years old males with Dutch, Moroccan and Turkish backgrounds. The development of new varieties out of bilingualism and language acquisition in ethnic networks and ingroup/outgroup interactions is addressed in research questions (b), (e), (g) and (f) above. In connection with question (g) and the fact that ethnolects have been observed to spread to members of the indigenous population, the question can be addressed what effect the new ethnic substandards may eventually have on the maintenance and development of general urban substandard varieties. Architecture is addressed in research question (c). Analyses of the relative persistence of ethnolectal features make it possible to determine violable and non-violable properties of the grammar of the dominant language; do they correspond to the distinction between core grammar and periphery? Or are ethnolect features mainly to be understood as transfer products which reinforce already existing tendencies of the dominant lanquage? Do intermediate or even 'fudged' (Chambers & Trudgill 1998) varieties emerge? The methodology makes it possible to systematically study the speakers' use of the different options in their verbal repertoire, or sets of poly-lectal grammars, in different interaction settings. Addressed in research questions (c) and (d); the answers to these questions will render novel insights into processes of transfer of L1 to L2. What is the role of UG and universals of language acquisition (for phonology cf. e.g. the proposal by Singh 1995 and for syntax e.g. the proposals regarding the Basic Language Variety in Klein and Perdue 1997) in the emergence of ethnolects? The selection of both 12- and 20 year olds allows us to study the acquisition of a secondary lect during adolescence. While a number of researchers have been exploring 'youth language' or 'street language' in multi-ethnic neighbourhoods in various European cities, e.g. Pia Quist (Copenhagen), Ben Rampton (London), Ulla-Brit Kotsinas (Stockholm), Jannis Androutsopoulos (Osnabrück), in addition of course to work in the Netherlands itself by e.g. Jacomien Nortier (Utrecht) and René Appel (Amsterdam), the present project is closest in spirit to current work by Peter Auer and Inci Kirim (Freiburg/Hamburg) and Paul Kerswill and Jenny Cheshire (Reading/London). In these projects as well as in our own project, a more systematic study of various structural linguistic variables is carried out. Peter Auer had co-operated with Pieter Muysken in the ESF Network on Code-Switching and Language Contact, while Peter Auer and Frans Hinskens founded and managed the ESF Network on the convergence and divergence of dialects in a changing Europe, in which Paul Kerswill was active as the coordinator for England. We have further strengthen our ties, coordinated the selection of linguistic variables, exchanged fieldwork methods, etc. at a workshop held as part of the ICLaVE3 conference which took place in Amsterdam, June 23-25, 2005. Auer, P. (2003). “Türkenslang”: ein jugendsprachlicher Ethnolekt des Deutschen und seine Transformationen. In A. Häcki Buhofer (Ed. ), Spracherwerb und Lebensalter. (pp. 255-264). Tübingen/Basel: Francke. Retrieved from http://www.forum-interkultur.net/Beitraege.45.0.html?&tx_textdb_pi1[showUid]=8. Chambers, J. & Trudgill, P. (1998). Dialectology. Cambridge (CUP), 2nd edition. Danesi, M. (1985). A glossary of lectal terms for the description of language variation. Language Problems and Language Planning 89(2): 115-124. Klein, W. and Perdue, C. (1997). The basic variety (or: Couldn't natura languages be much simpler?). Second language research, 13, 301-347. Kotsinas, U.-B. (1988). Immigrant children’s Swedish – A new variety? Journal of multilingual and multicultural development, 9, 129-140. McCafferty, K. (2001). Ethnicity and language change. English in (London)Derry, Northern Ireland. Amsterdam/Philadelphia: Benjamins. Nortier, J. (2001). Murks en straattaal. Vriendschap en taalgebruik onder jongeren. Amsterdam: Prometheus. Ponelis, F. (1997). Afrikaans. In M. van den Toorn, W. Pijnenburg, J. van Leuvensteijn & J. van der Horst (eds), Geschiedenis van de Nederlandse taal. (pp. 597-645). Amsterdam: AUP. Singh, R. (1995). Rethinking the relationship between phonology and loan phonology. Folia Lingustica, 29, 395-405. Thomason, S.G., & Kaufmann, T. (1988). Language contact, creolization and genetic linguistics. Berkeley etc. : University of California Press. Incorrect links? Please, contact Linda.